Thankfully the majority of pregnancies are completed without any concerns. Sadly, there are occasionally problems suspected with the unborn fetus and in these circumstances patients may be referred for assessment by the Fetal Medicine team. The Fetal Medicine Unit is found within the Antenatal Day Assessment unit on level 6. The team is made up of two consultants, Ross Welch and Imogen Montague, together with two specialist midwives, Ruth Rice and Sharon Lister. As we are a teaching hospital there will often be doctors training in the specialty assisting or observing. Please speak to us if you are concerned about the members of the team present when you come in for your appointment. If you would rather not have extra people then we will explain which members of the team are essential for your particular visit and why. There are three most common reasons to be referred to the team: a fetal or genetic problem in a previous pregnancy or in the family, an increased risk of Downs Syndrome resulting from the Combined Test offered to all women at 12 weeks or an unusual finding on the routine ultrasound at 20 weeks, which is designed to review the fetal anatomy. We aim to see all patients within 5 working days from referral, as recommended nationally. If you are referred, the fetal medicine specialist will assess all aspects of your history and current pregnancy to date and in most cases will perform an ultrasound scan in order to examine your baby. Because of the ultrasound scan you should always come to appointments with a comfortably full bladder. The findings will be fully explained and what this may mean for you and your baby. It is preferable that you bring your partner or a relative or close friend with you. Please also make sure that you bring your hand held notes. Appointments in the unit take variable lengths of time. We tailor our counselling and length of visit according to individual needs. Because of this it can be difficult to anticipate and plan appointment times. Delay may happen on the day if the patient(s) before you are more complicated than expected. Some patients may be offered fetal testing such as amniocentesis or chorionic villus sampling (CVS). These tests will be fully explained and your consent obtained. There may be some discomfort during and after these tests so it is important to have someone with you who can take you home. 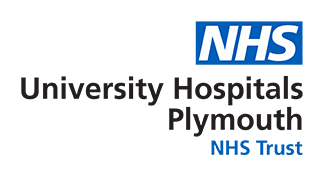 We see patients from all over the south west and sometimes further afield. On occasion we will be asked to see emergency cases which can mean rearranging our appointment times on a daily basis. We can be contacted either via Ruth and Sharon on 01752 439792. There is an answerphone when we are busy elsewhere but messages are listened to frequently, throughout each working day.